3rd Annual Commemoration of the September 18th WARP Summit will be held on 17-19 September 2017, in Seoul South Korea. We cordially invite you to be part of the Summit via online and offline. Chairman Man Hee Lee of HWPL hosted the World Alliance of Religions' Peace Summit (WARP Summit), one of the largest peace symposiums which is annually attended by heads of state, religious and political leaders, and youth and women's organizations' representatives. 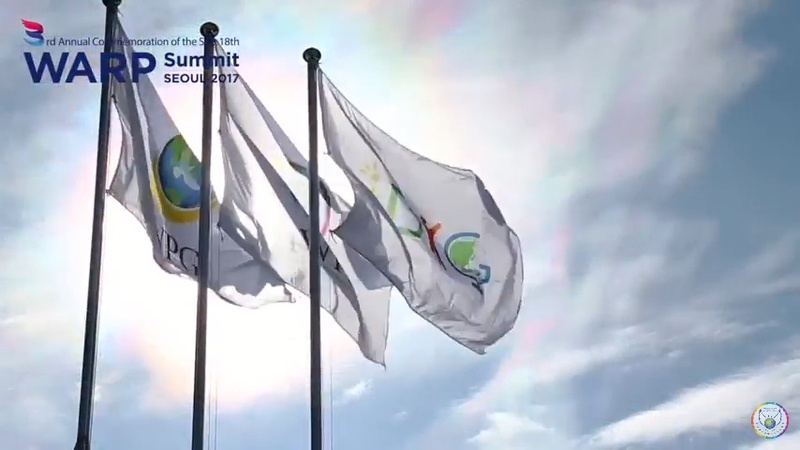 Initiated in 2014, the WARP Summit has served as a milestone on the journey towards peace. HWPL Chairman, Man Hee Lee established the HWPL International Law Peace Committee made up of international law professionals to solidify HWPL's initiative of peace to bring all wars to an end with practical measures made by the legal process.